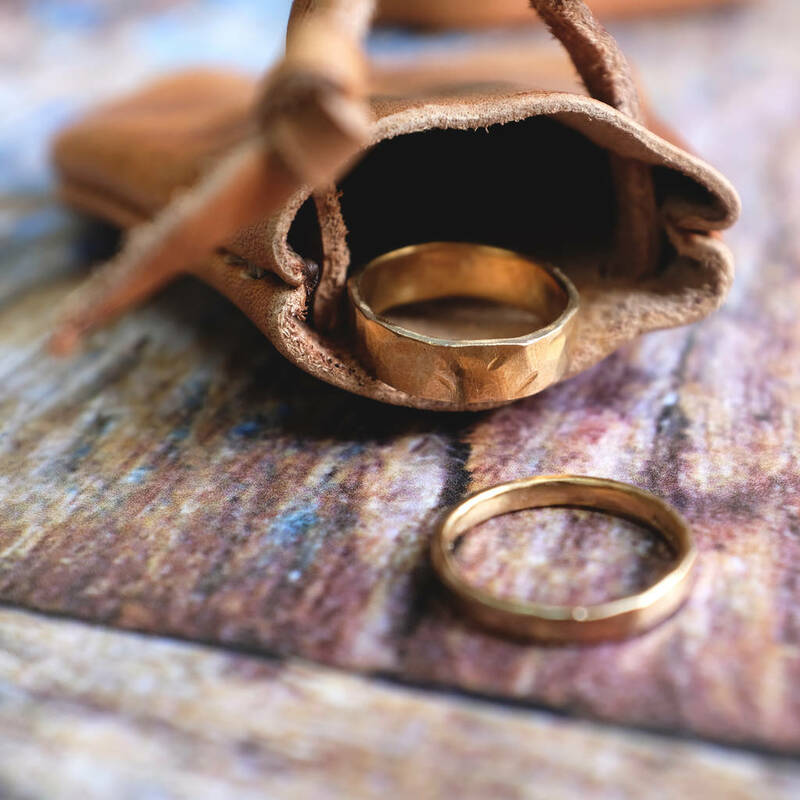 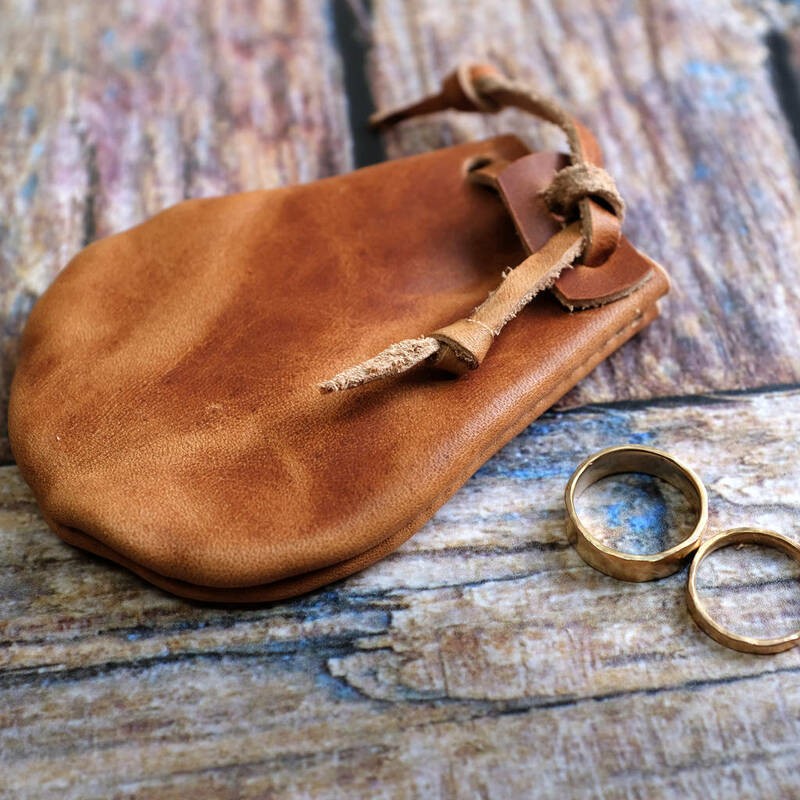 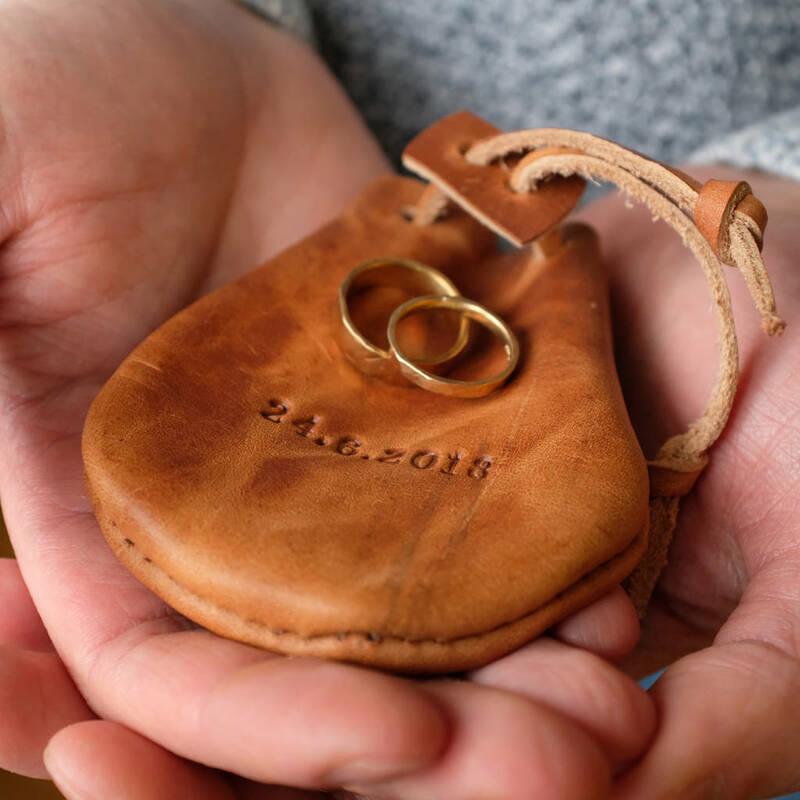 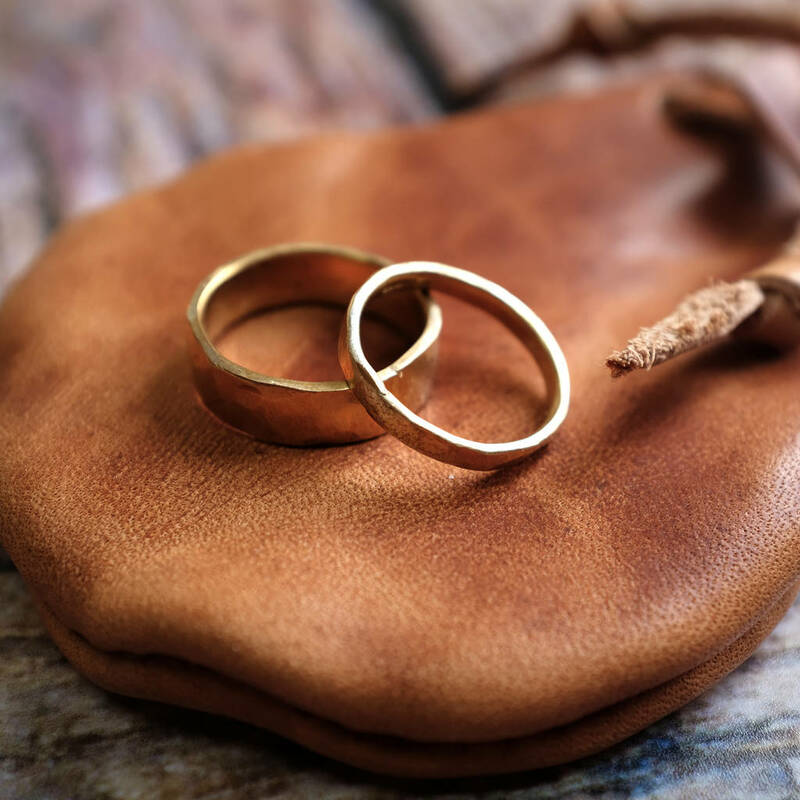 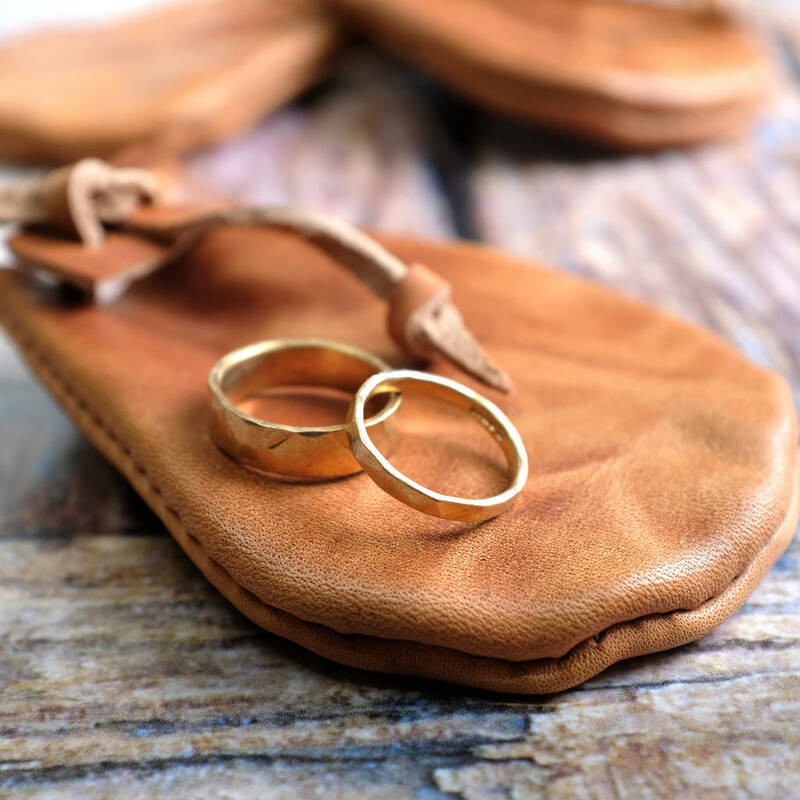 Handmade leather wedding ring pouch, a great little sentimental keepsake for storing your wedding rings until the big day! 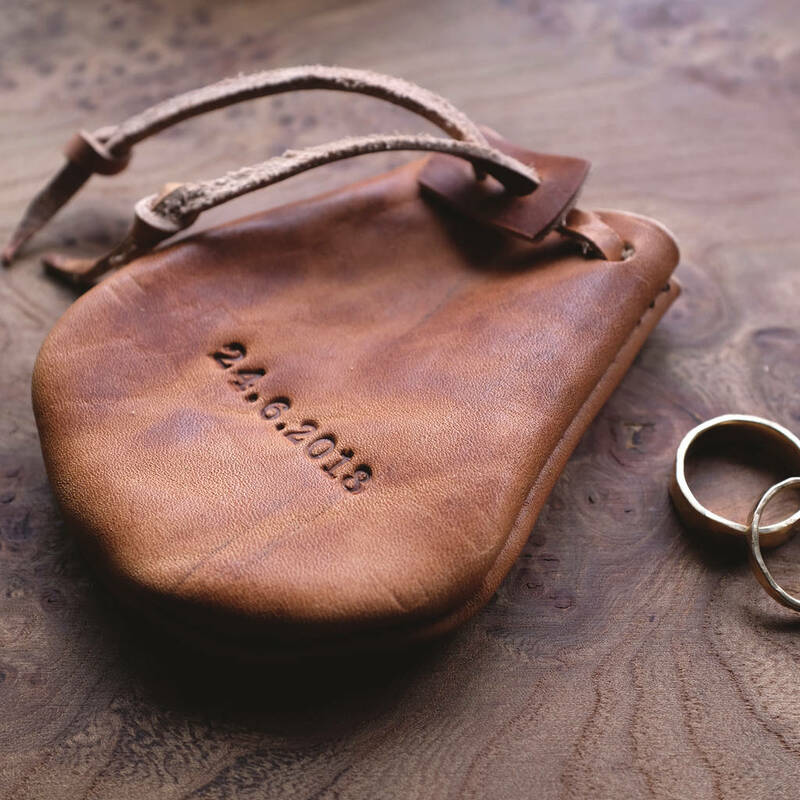 For personalisation please type what you would like into the personalisation box. 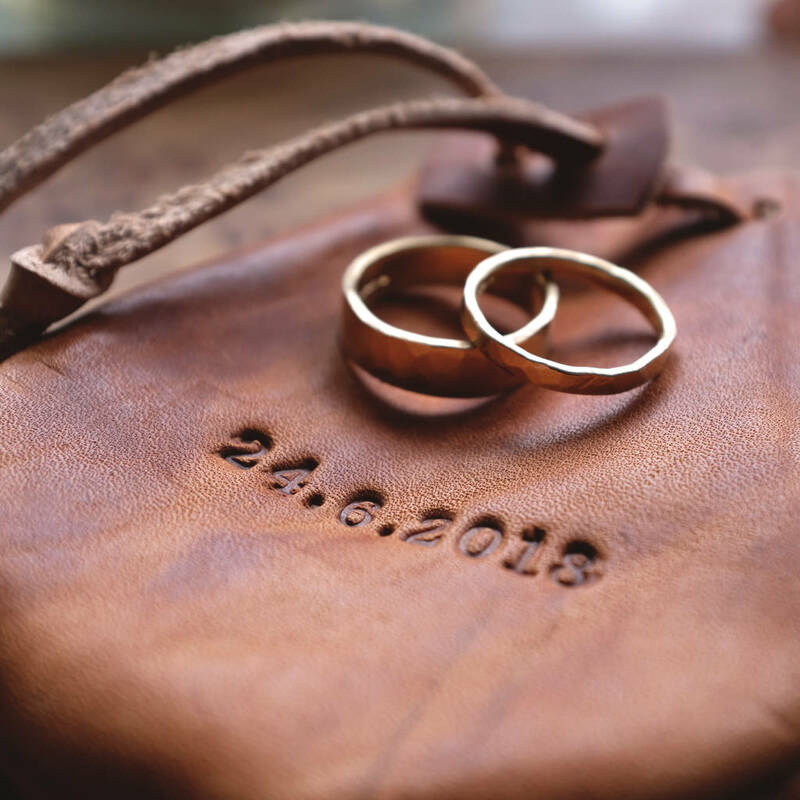 Characters will be in a serif font letters will be in CAPS. 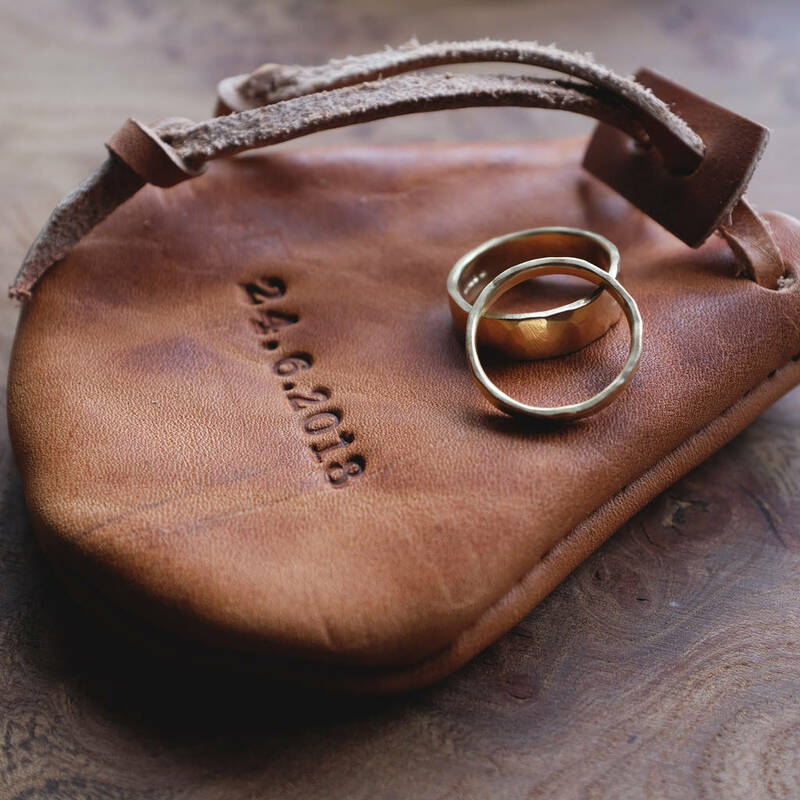 There is room for two rows, initials and a date (00.00.0000 or 0.0.00) you can have both rows with initials and a date or if you prefer, just initials or just a date. 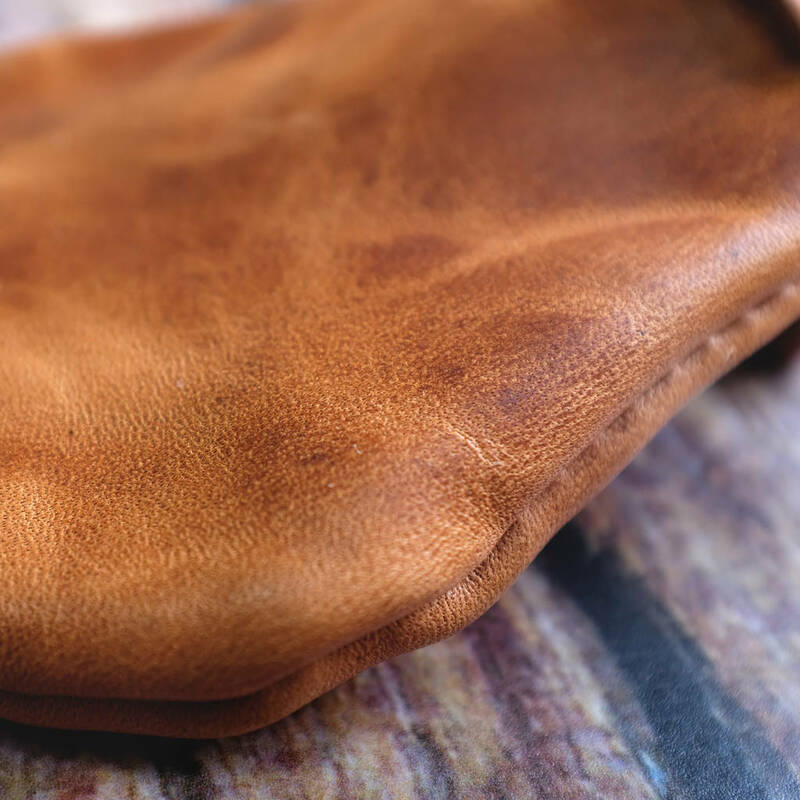 Handmade using Horween Dublin leather in natural tan, the beautiful characteristics of the leather make each pouch unique. 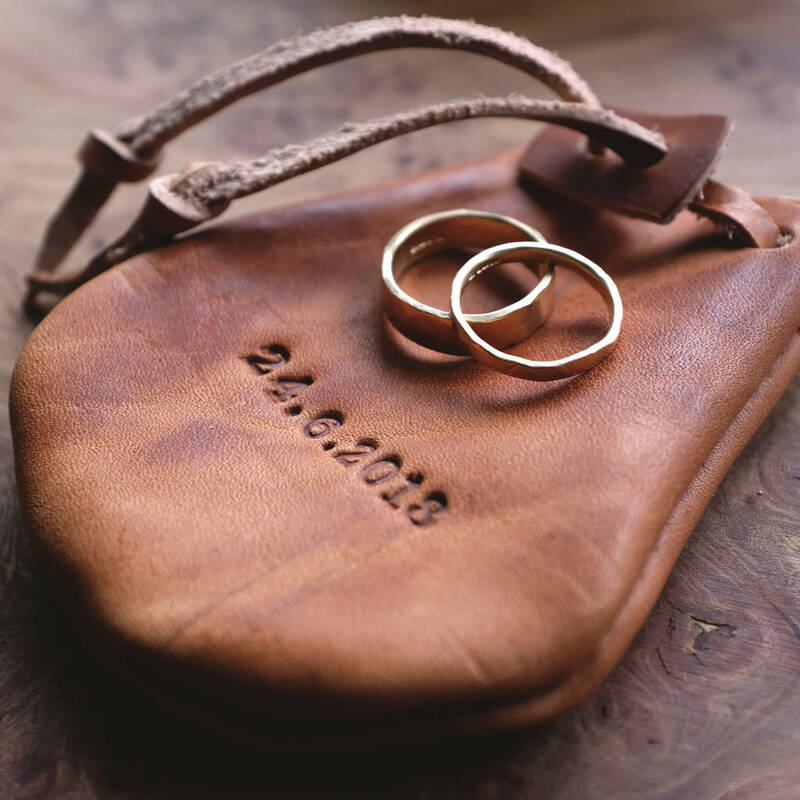 Diligently hand stitched for durability and longevity this is lovely tactile way to store your precious jewellery, coins or dice. 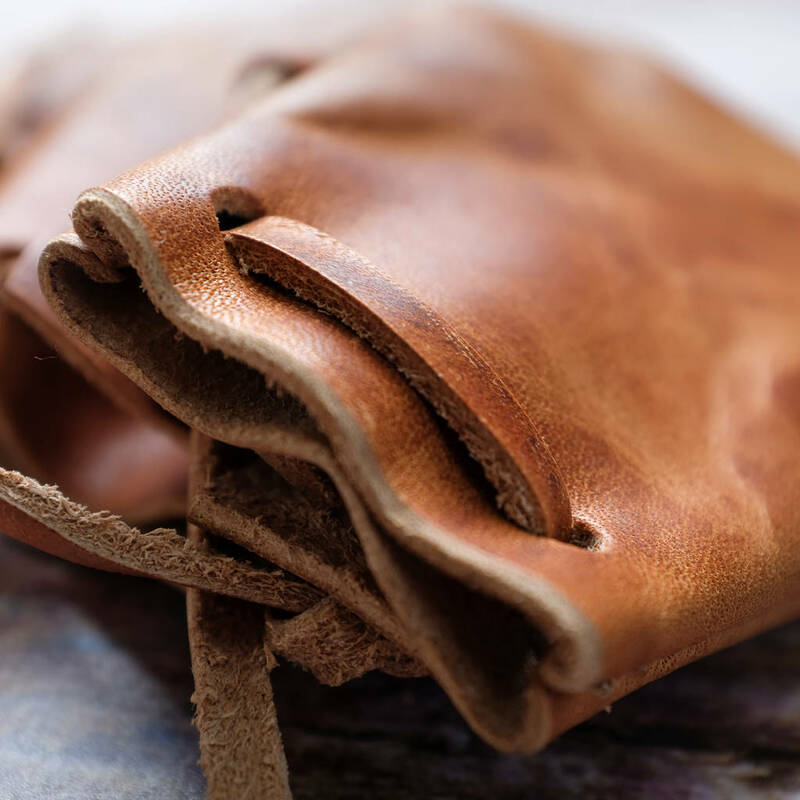 The leather ties can be pulled tight and tied however you like, knotted or wound around to keep the contents secure.